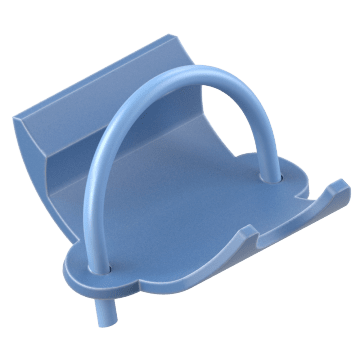 Use these clamps to attach conduit to the edges of beams or other supports without the hassle of installing separate beam and conduit clamps. Tighten the clamp nut to secure the clamp. 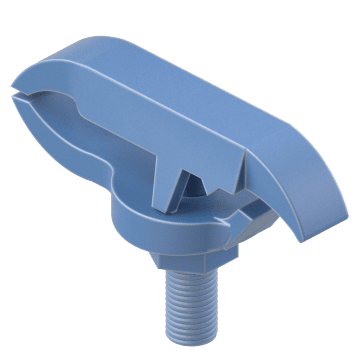 Mount vertical conduit runs perpendicular to the edge of a beam, channel, or angle support using these clamps. 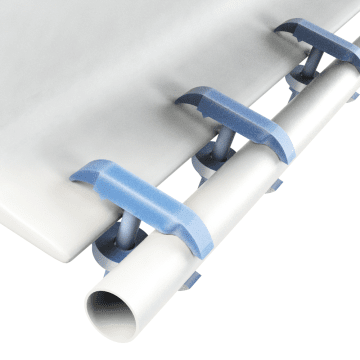 Fasten horizontal conduit runs parallel to the edge of the beam, channel, or angle support using these clamps. 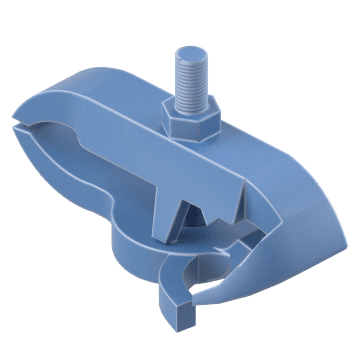 Attach horizontal conduit runs at a 90° angle to the edge of a beam, channel, or angle support using these right-angle clamps.